This week’s topic was about the use of ICTs in formal education. In addressing this, I will discuss the current Masterplan developed in Singapore which seeks to include ICTs into curriculum, pedagogy and assessment so the students develop competencies for the 21st century. This is a great example of how a country can include -ICTs- in their education system successfully. As described at the Ministry of Education website, the history of Masterplans that promote the use of ICT in education in Singapore started with the first Masterplan (1997-2002) which aimed to provide the basic ICT infrastructure and to equip teachers with the basic levels of ICT competency. The second Masterplan (2003-2008) was to create an effective and pervasive use of ICT in education. And lastly, the third Masterplan (2009-2014) was aimed to continue the previous plans’ philosophy, that education should continually anticipate the needs of the future and prepare pupils to meet those needs. 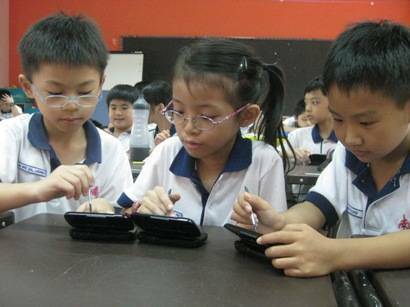 Singapore’s Ministry of Education (MOE) launched in 2009 the third Masterplan for ICTs in education. This Masterplan seeks to enrich and transform the learning environments of the students and to “equip them” with the critical competencies to succeed in a knowledge economy. This statement that goes along with the functionalist perspective is looking to strengthen integration of ICT into curriculum and pedagogy. Basically, the MOE is interested in helping to create a differentiated professional development that is more practice-based, where ICT help students learn better, and schools support the provisions of ICT. In order to include ICTs to the curriculum, this Masterplan is creating a greater alignment of students’ learning outcomes in the syllabi, national examinations and classroom experience. It will promote the use of ICT to look for information, synthesize reports, and collaborate with peers. Moreover, this plan aims to train several ICT specialist teachers who will be experts on how to effectively use ICT in their classes; it will also improve the sharing of best practices through a network of educational labs. In these labs, innovations could be prototyped and tested; in the same time it will provide the latest technologies to promote exploration of learning possibilities. Lastly, accessibility of ICT to students will be increased through more flexible and mobile infrastructure provisions (e.g., wireless internet access, piloting 1-notebook-to-1-pupil ratio in more schools, and higher data bandwidth to the Internet). Another article, described how -according to the MOE- the digital divide due to problems in technology access is fading in Singapore. They consider that the nation is facing a digital divide between students ICT-literate and students without such skills. 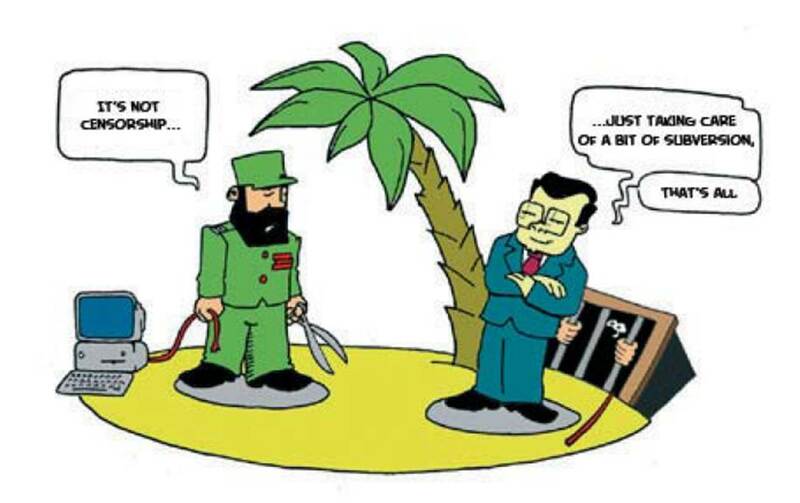 In order to diminish this new divide, the government planned the third Masterplan. 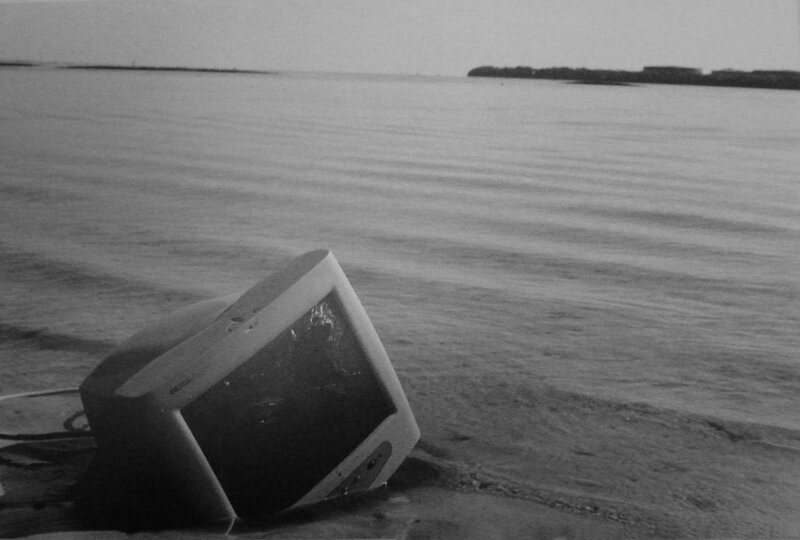 As in many other entries in our blog, this article indicates that technology in itself cannot transform learning. Yet, the vision of this Masterplan is quite accurate while it assures a vision of “harnessing technology to transform learners”. Other pertinent solution, I think, is to use social media to enable participation, dialogue and co-construction of knowledge. In this same sense, another article introduces one of the latest applications of this Masterplan launched in a primary school in Sengkang, Singapore. In collaboration with Qualcomme and Microsoft teachers and students will have access to educational resources through smartphones. With the support of the national Institute of Education of Singapore, there is a joint work to develop customized curriculum in English, Science and Chinese, and co-design technology to enable teachers to enact lessons using smartphones. About 350 third-graders will experience the latest wireless technology easing student-centric model of learning where educational materials (e.g., web-based resources and collaborative learning tools) can be accessed anytime and anywhere via smartphones. This school will be a model for primary schools throughout Singapore and Asia. This project is using a mobile learning platform (MyDesk) and education applications developed by the University of Michigan, using Nokia 3G smartphones. The Masterplan expects that this project will “give students the means to take responsibility for their own learning and enable teachers to provide individualized mentoring”. It is also thought that students will use relevant websites that contain podcasts, video clips, and educational applications like mapping, drawing and animating to practice both self-directed and collaborative learning. The files created by students using the smartphones are backed-up and synchronized to a management system which can be later assessed by teachers for grading and feedback purposes. Are you a technology fan? Are you fascinated with the rapid spread of communication around the world with social networks like Twitter? Well, have you ever wondered whether these technologies can be used to learn and generate knowledge in poor and rural areas around the world? In rural places where teachers might not want to go –because it is too far away from amenities or can be too dangerous- do you think technology can play a leading role? 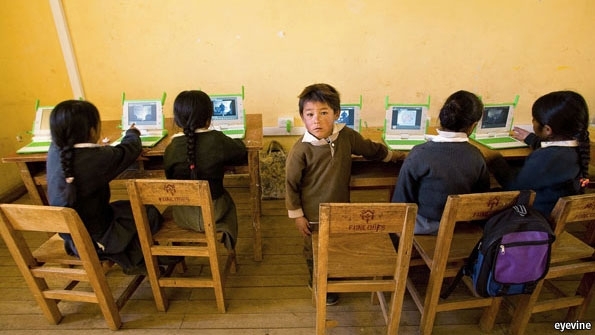 If user-friendly computers are located in these areas, will children be able to benifit? Could that stimulate their curiosity or capacity to learn? If this topic is of interest to you, I invite you to continue reading this post. You might get surprised by some results from India! India: a developing country, an emerging economy that every day becomes more and more attractive from the global economic lens. With a population over one billion inhabitants, India is positioned as the second most populous nation in the world*. With unprecedented socio-economic progress, especially in the area of telecommunications, India has developed practical ways to reach those in deeper need. In this case ICTs has worked as a tool to reach most under-resourced populations and to get positive outcomes from providing these services. Among ICTs characteristics, perhaps the most important one –portability- makes them imperative tools in a society with the highest rates of illiteracy**. In 1999, Dr. Sugata Mitra, a computer scientist at NIIT (a global education company) decided to make a social experiment in a rural area outside of New Delhi, India. He provided a limited number of computers with free, high speed internet in the streets of a slum area. The computers were placed in holes and inside the walls, making them reachable for public users. Known as the Hole in the Wall experiment, children showed initial interest. Although no one was physically there to monitor or supervise, they were being videotaped for further analysis. These children, without prior knowledge, not only developed skills to manage computers, but also acquired basic skills in mathematics and English. In the next six years the same experiment was replicated in different rural locations in India. 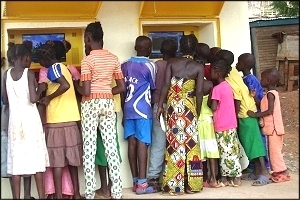 As it expanded, issues like gender equity were taken into account for example by creating special kiosks for girls. Dr. Mitra, based on these series of experiments, concludes that children can and actually did learn independently by forming self-organizing learning systems to teach themselves (e.g., how to use a computer). This learning happened regardless of their preceding socioeconomic backgrounds or languages. Results show that children are able to educate themselves and this fact becomes of crucial importance in the context of many villages that are not able to provide either teachers or computers–. This project is part of the concept of Minimally Invasive Education systems. This term describes the learning processes of children in unsupervised settings, without any direct intervention from adults and with appropriate levels of motivation. This method promotes the process of exploration, discovery and collaboration with peers. It also stimulates the natural curiosity children exude. Children carried the knowledge they learned at school where they most likely did not have opportunities to use a computer. As they interacted with the computer, in short as 3 minutes they were able to identify what they could do with the mouse. With games –some educative and some other recreational- and the regular browsing service, children started a process of learning and relating with English –the language provided by the system- and improved their abilities in math and sciences. Yet, the project did not procreate knowledge by itself; involved children could at least read. The fascinating thing of the method was how they were able to, under the right conditions, teach themselves from a tool that they previously did not know how to master (to see the research results please go to Hole in the Wall research findings at http://goo.gl/8hQx7). Thus, new knowledge can be generated in a natural and non-formal process, enhancing collaborative relationships among the group. Even though children learn individually, at the very beginning of the learning process –where little is known about computers, and where they have to develop strategies to star using it properly- there is usually one child that takes the leadership and guides the rest of them. As this leadership develops, the group of children cultivates collaborative relationships in pro of learning. d) being more prepared for upcoming standardized tests. As this initiative gains recognition there are several important questions to ask. Can technology replace teachers in this or any other context? If teachers are irreplaceable, what is the possibility of hiring long distance teachers that can connect with students on the computers? While it is not likely that technology can comprehensively replace interaction between teachers and students, there is evidence that this model contributes to student initiative and learning. Therefore, these alternative methods are really innovative enhance student learning. This post discusses the positive effects that mobile banking has brought to the East African country Kenya; it also discusses its recent growth and its impact over the employment of the poorest. This post emphasize on how mobile banking in Africa has had a triggering process. It also considers it as an example to be followed. The features that differentiate mobile banking from regular banking service are its simplicity and the fact that they provide a service to those who remained unbanked. This video presents Safaricom’s TV advertisement introducing their money transfer service M-pesa. 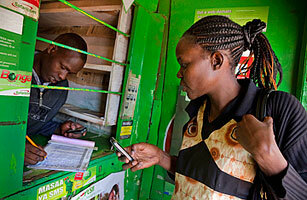 What is the recent impact that ICTs has had in banking opportunities in Kenya? Mobile banking in Kenya has had an explosive growth especially since 2007 when the Safaricom bank was created. A project that started with an investment of $1,000 in 2007 had in 2011over 200 outlets across Kenya. Safaricom bank, owned by Patrick Maina, remained strong even with the recent global recession. The global economic depression did not have negative effects over mobile banking in Kenya; it actually benefited it. Nowadays, supporters consider Africa as the leader in banking revolution, and a place where future banking is being designed. The triggers of the massive use of microcredit are the explosive use of cellphones, the fact that banking rules are being created by non-bankers, and the extreme simplicity of its processes (of money transfers, for example). 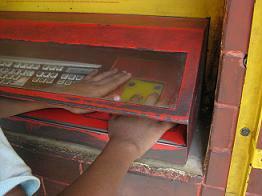 But, what is the relationship between banking, ICTs and economic development? Some studies have found that for every additional 10 mobile phones per 100 people in a developing country, GDP rose 0.6% to 1.2% (World Bank and the London Business School). Also, the simple fact of a larger and fastest network that uses cellphones and that is nourished by a very cheap feature -text messages-. These days, you can send money transfers using your cellphone. M-pesa, a service provided by Safaricom, charges a small fee for sending money; in 2011 M-pesa had about 12 million accounts in Kenya, a country with a population of 39 million people. Other options are given to mobile banking customers; they are also able to save money, have access to debit cards and of course, earn interest on their deposits. All these features are essential to the creation and proliferation of small businesses ideas. People who previously had no chance under regular banking regulations have now the opportunity to use this type of service; and in a developing country the amount of people benefiting from these initiatives might be quite high. ICTs and banking initiatives has also helped women. For instance, The Grammeen Bank has brought to isolated villages in Bangladesh and Uganda microcredits; this initiative was used by poor rural women to create, for example, a public phone service. Through earnings from this small business venture, female entrepreneurs created a bigger chance to improve their family’s living conditions and pay for their children’s education. One of the purposes of microcredit was to help women achieve independence from men, in both society and family spheres, by means of creating employment and balancing power relations.